Facebook will now send an alert any time a photo of you is uploaded to the social network -- even if you aren't tagged in it. The company has used facial recognition since 2010 to suggest who should be tagged in a photo. But now, it feels so confident it can identify your face, it'll send you a notification when it spots you in any shot. You'll only be alerted to photos that allow this feature in its privacy settings. 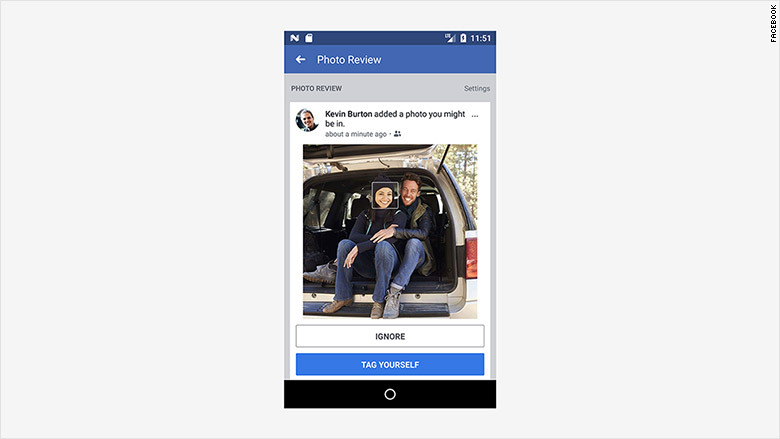 "Our goal in building these features is really to empower people and help them manage their identity on Facebook," Rob Sherman, Facebook's deputy chief privacy officer, told CNN Tech. Facebook will now alert you when images that include you are posted on the social network. "It's right for consumers to be a little concerned about a company like Facebook using this technology," John Breyault, vice president at the National Consumers League told CNN Tech. "Hopefully, it's an opportunity to have more conversations about what facial recognition means for consumers and what safeguards, if any, need to be put in place from a policy perspective." Facebook won't be using facial recognition in Canada or Europe due to regulatory protections around personal data and privacy. Facial recognition is becoming more popular in the U.S. Apple's iPhone X relies on it to unlock the smartphone. Glasses retailer Warby Parker uses it to help match frames with customers' faces. Facebook is expanding its use of facial recognition technology. "Companies like Facebook are correct to tread lightly on facial recognition because of the sensitivity," Breyault said. "Your face isn't like a password you can change or a cookie that can be purged from your browser." 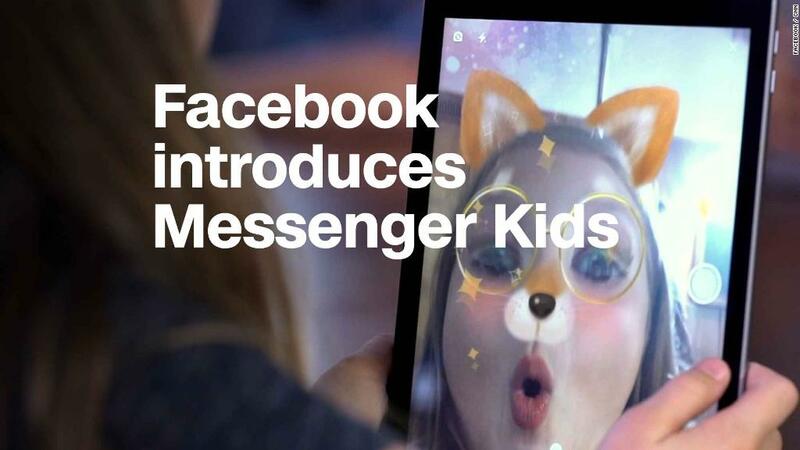 Facebook also announced new tools on Tuesday to prevent unwanted contact on the platform, such as allowing users to ignore a Messenger conversation and move it out of one's inbox.